The Sounds of Bear Creek is the premier mixed ensemble of Bear Creek High School. Made up of 10-12 grade students, Sounds emphasizes the highest standards of choral music. Sounds performs at all school concerts along with participating in outside festivals, community performances and collaborative concerts with other ensembles. The members of Sounds are expected to be committed to the highest levels of excellence in rehearsal and performance. Onyx is the premier women's ensemble of Bear Creek High School. 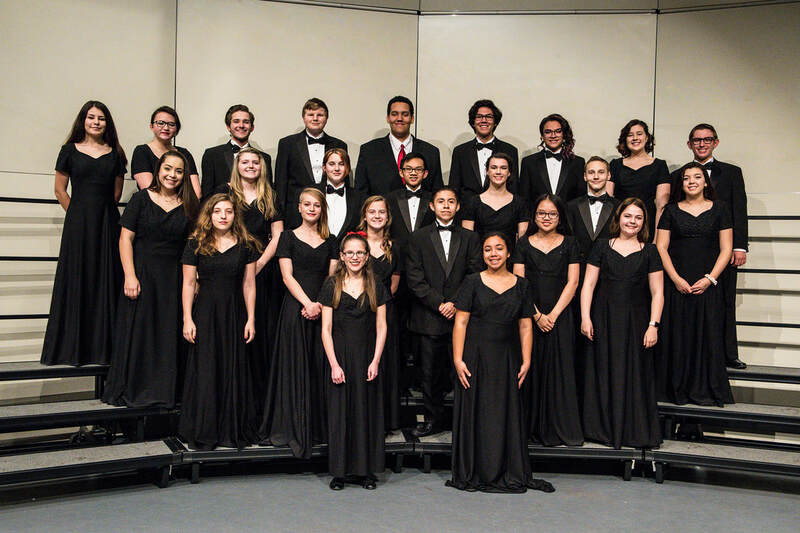 Made up of 10-12 grade students, Onyx emphasizes the highest standards of choral music. Onyx performs at all school concerts along with participating in outside festivals, community performances and collaborative concerts with other ensembles. The members of Onyx are expected to be committed to the highest levels of excellence in rehearsal and performance. 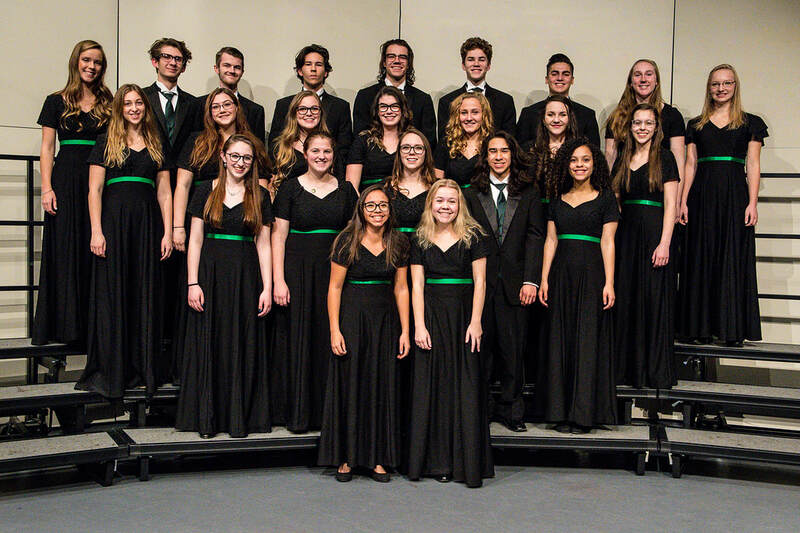 Concert Choir is an intermediate ensemble of mixed voices from grades 10-12. 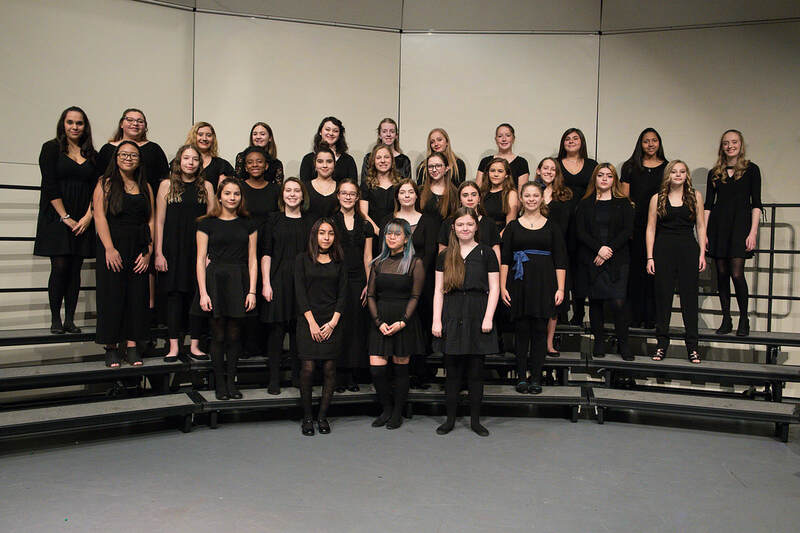 Students in Concert Choir are developing in their knowledge of literature, history, theory, and vocal technique. 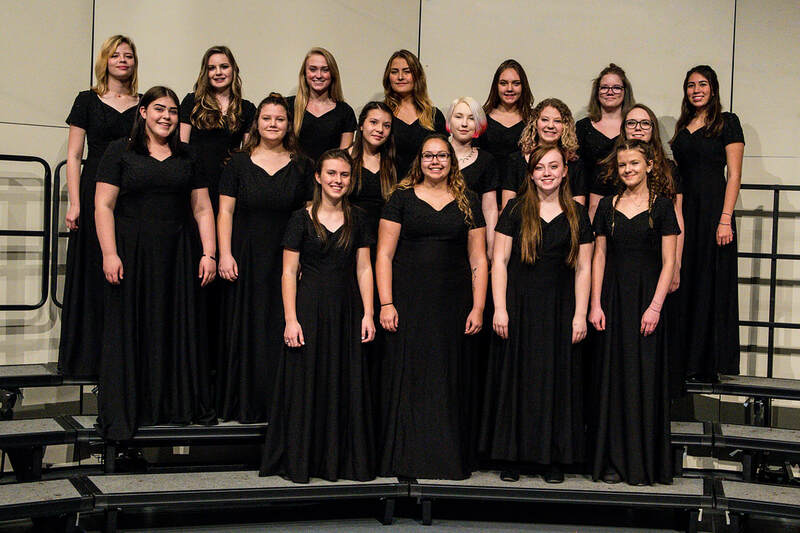 Concert Choir performs at all school concerts, as well as some extra festival performances throughout the year. The members of Concert Choir are expected to be committed to excellent music making. Treble Ensemble is made up of 9-12 grade students, both experienced and unexperienced. The purpose of Treble Ensemble is to expose soprano and alto singers to the art of choral music. As a non-auditioned group, Treble Ensemble is open to any interested student. The basics of theory, literature and proper vocal technique will be the emphasis of this ensemble. 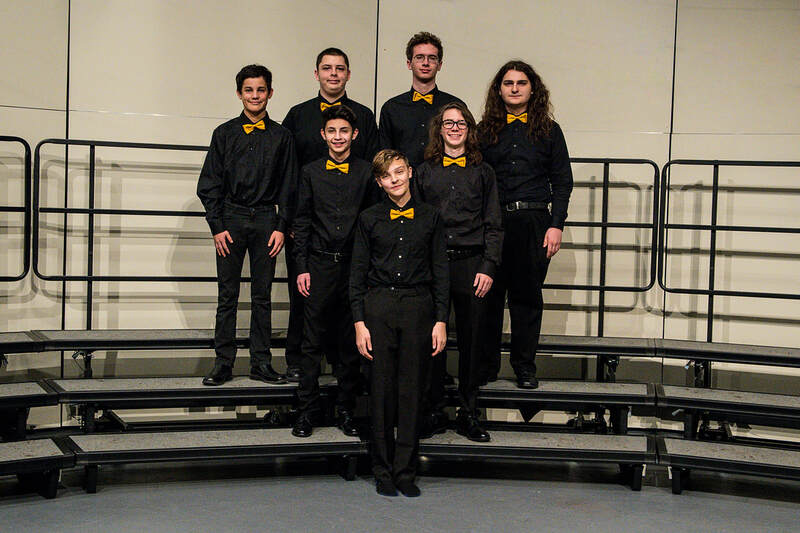 Tenor/Bass Ensemble is made up of 9-12 grade students, both experienced and unexperienced. The purpose of Tenor/Bass Ensemble is to expose tenor, baritone, and bass singers to the art of choral music. As a non-auditioned group, Tenor/Bass Ensemble is open to any interested student. The basics of theory, literature and proper vocal technique will be the emphasis of this ensemble.